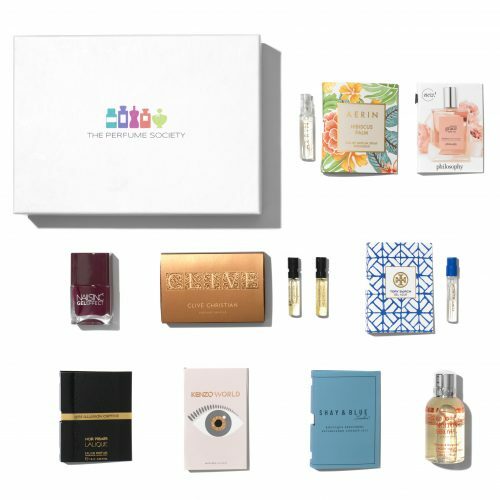 The Perfume Society is here to help you keep your finger on the pulse of all things fragrant. From time to time, we like to showcase a selection of those new and exciting fragrances we’ve seen and smelled. So: welcome to our Latest Launches 2018 curation. 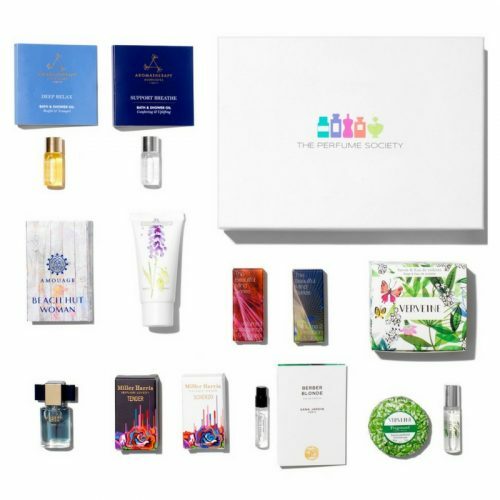 It includes sunlit AERIN Hibiscus Palm, whisk-you-to-the-Riviera Tory Burch Bel Azur, and so-pretty Philosophy Amazing Grace Ballet Rose. If you prefer your scents darker and with more intrigue, you’ll love the Clive Christian duo – Chypre ‘L’ for Women and Oriental-woody ‘L’ for Men. 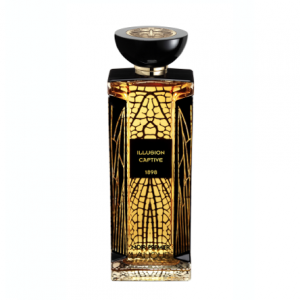 And you can also enjoy the sophisticated Lalique Noir Premier Illusion Captive, Shay & Blue Black Tulip, together with the new KENZO WORLD. 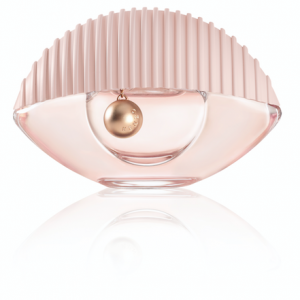 The new sparkling Eau de Toilette for a woman who does not take herself seriously. 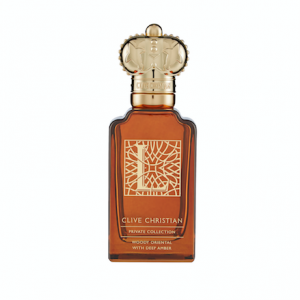 Philosophy founder, Cristina Carlino, had been sensitive to fragrances all her life. 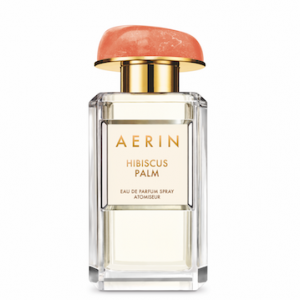 She made it her personal mission to create a clean, approachable fragrance. Amazing Grace was her beautiful gift to the world; it forever changed fragrance. A signature floral statement. 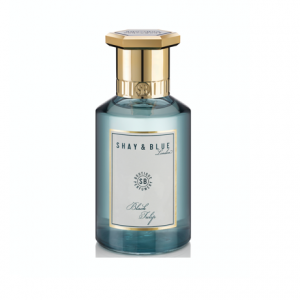 Snowdrops and cyclamen lend a note of floral freshness that opens into velvety black tulips and plum. The creamy vanilla warmth of white chocolate and soft woods leave an elegant impression. Handcrafted in England with real flowers, fruit and spices, Black Tulip was created in 2017 by Julie Massé, Perfumer, and Dom De Vetta, Founder. Bel Azur transports you to the Cote d`Azur, a legendary paradise on the French Riviera. 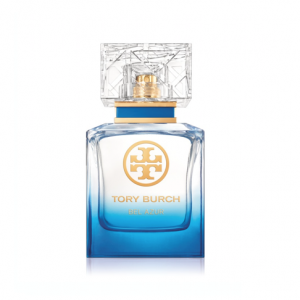 Inspired by Tory`s love of the sea, this refreshing fragrance exudes the golden sun shimmering on clear blue waters. A solar burst of bergamot washes over breezy florals of neroli and peony to rejuvenate the senses, while creamy cedarwood and earth vetiver melt into a lingering sunkissed warmth.